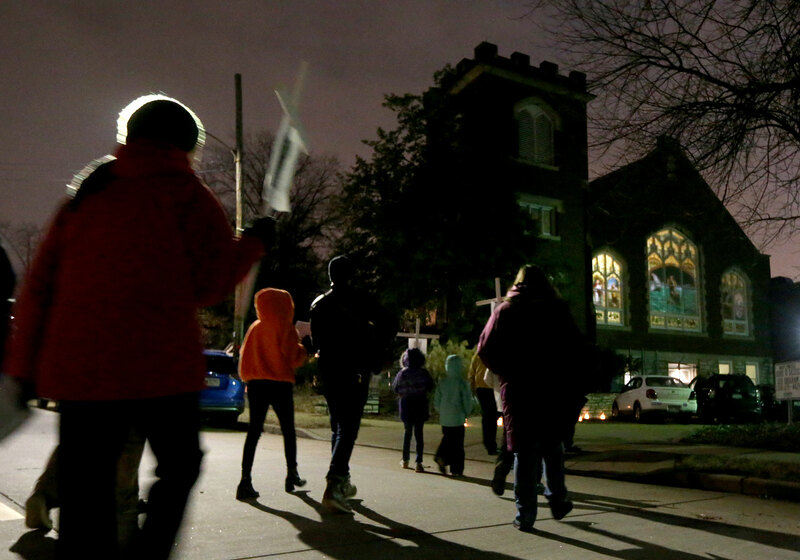 More than 80 people march Posada in Solidarity with Immigrants on Friday, Dec. 21, 2018, walking back toward Christ Church in Maplewood. The church's interest in immigrant reform intensified since offering sanctuary to Honduran immigrant Alex Garcia in September 2017. By moving into Christ Church, Garcia hoped to stop deportation — the U.S. Immigration and Customs Enforcement agency has a policy of not forcing arrests at sensitive locations like churches unless there is an emergency.